90487 Lee Original Bulge Buster Kit Excellent Brass Reprocessor 90487 New! Bulge Buster Base Sizing Kit. Lee Bulge Buster Kit and appropriate Lee Factory Crimp. The Bulge Buster Kit includes assures your mixed brass is bulge free. This push through die adapter will quickly remove the. 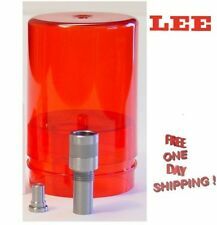 4.5 out of 5 stars - 90487 Lee Original Bulge Buster Kit Excellent Brass Reprocessor 90487 New! 15 product ratings15 product ratings - 90487 Lee Original Bulge Buster Kit Excellent Brass Reprocessor 90487 New! 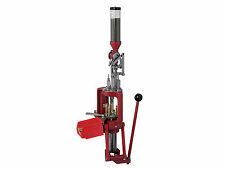 LEE and RCBS 30 M1 Carbine Carbide Reloading Dies. Condition is Used. Shipped with USPS Priority Mail. This Lyman Ideal 310 Reloading Tool and Die Set are in absolute excellent condition and are in their original box as seen in the photos. Two of the dies are stamped. 222 and. 223, but I’m not certain what the other tools are for. 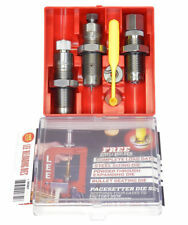 The Lee Deluxe Handgun 4-Die Set is a great set of reloading dies. We are aFactory Direct Dealer of Lee® Precision, Inc. powder through expanding die (used for expanding and belling the case mouth. abullet seating die. ). 5 out of 5 stars - 90963 Lee Precision Deluxe Carbide 4 Die Set for 9mm Luger # 90963 New! 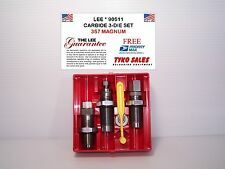 39 product ratings39 product ratings - 90963 Lee Precision Deluxe Carbide 4 Die Set for 9mm Luger # 90963 New! This is the perfect press for the reloader looking to. Ram Stroke: 3-1/4". Every Lee ® Reloading Tool is. We are a Factory Direct Dealer of Lee Precision, Inc. standard Universal Press Shell Holder. Lee 45/70 Steel 3-Die Set. Includes Full Length Sizing Die, Bullet Seating Die, Powder Through Expanding Die, Universal Shell Holder, Powder Dipper and Instructions/Load Data. 3 DIE STEEL 45/70. 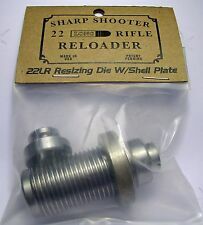 SHARP SHOOTER 22 LONG RIFLE FULL LENGTH RESIZING DIE AND SHELL HOLDER ONLY. 22CAL LONG RIFLE FULL LENGTH RESIZING DIE & SHELL HOLDER. (USE AFTER 4-5 RELOADS). ~FITS ALL RIM FIRE~ 22LONG RIFLE, LONG, & SHORTS~. What you see is what you get. This is in good used condition. Doesn't look like it was used much. RCBS 13501 270 Winchester Full Length Die Set .270. Condition is Used. Shipped with USPS Priority Mail. 357 Magnum. The Lee Deluxe Handgun 4-Die Set is a great set of reloading dies. We are aFactory Direct Dealer of Lee® Precision, Inc. powder through expanding die (used for expandingand belling the case mouth. ). RCBS 35 REMINGTON RELOADING DIE SET. Dies are in like new condition. 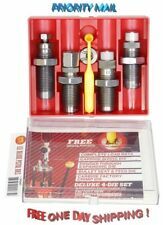 5 out of 5 stars - RCBS 35 REMINGTON RELOADING DIE SET. 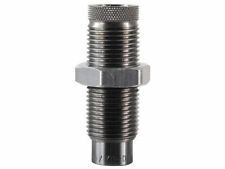 1 product rating1 product ratings - RCBS 35 REMINGTON RELOADING DIE SET. This lead is suitable for casting bullets, jigs and fishing sinkers. You can harden bullets by water quenching. Universal Depriming. Depriming and Decapping die working like new. & Decapping Die Pins. for the Universal Decapping Die (Item # 90292). The Lee Universal Decapping Die is one of the handiest dies on the market. Looks to be in unused condition. RCBS 13601 7MM Remington Magnum 2 Die Reloading Set. Condition is Used. Shipped with Economy Shipping. 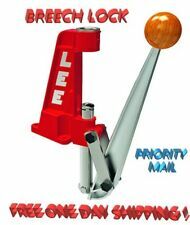 LEE Auto Index Clamp-Two Square Ratchets-Screw Combo CLAMP KIT New! Auto Index Clamp, Two Square Ratchets. The Square Ratchets install inside the black auto. index clamp on the steel ram. & Screw Combo. Index Clamp together and squeezes it. your Lee Turret Press running like new. 5 out of 5 stars - LEE Auto Index Clamp-Two Square Ratchets-Screw Combo CLAMP KIT New! 1 product rating1 product ratings - LEE Auto Index Clamp-Two Square Ratchets-Screw Combo CLAMP KIT New! Lee Target Model Loader. 7.65 Mauser caliber. Otherwise complete and nice condition. 4.5 out of 5 stars - The Original Dillon XL 650 Spent Primer Catcher Upgrade. 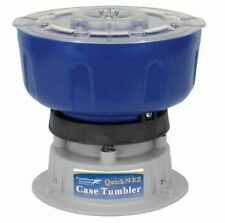 48 product ratings48 product ratings - The Original Dillon XL 650 Spent Primer Catcher Upgrade. 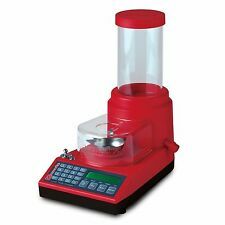 LEE FACTORY CRIMP DIE 300 ACC BLACKOUT BO RELOADING DIE CHECK IT OUT!!! L.E. 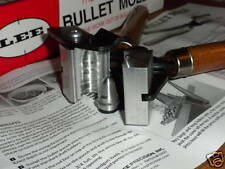 WILSON 7MM STW CHAMBER TYPE BULLET SEATER DIE CHECK IT OUT!!! 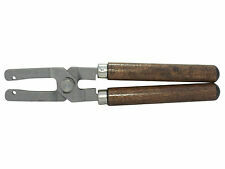 Stainless Steel Dillon Reloading die wrench for Dillon 1" and 1-1/8" lock nuts. (Warning: THE WRENCH IS MADE RIGID ENOUGH FOR LOCKING THE RELOADING DIE. BUT DON'T PUSH THE WRENCH FAR TOO HARD OR THE WRENCH WILL CRACK. Are you using Dillon 550 or 650?. press other than Dillon?. I don't have that info.). Limited Edition Only Korea. Released : 3.19. Bullet Slug mold Svarog Match Full complete set. The Match is a special purpose bullet witch is flat nosed, ideal for target shooting as it acts like a wad cutter. A wide range of hunting and sporting bullets (Slug) for 12, 16, 20, 410 gauge. L.E. 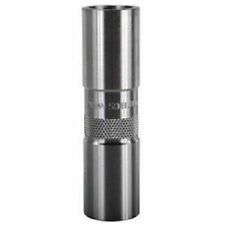 WILSON 308 WINCHESTER FULL LENGTH RESIZING DIE CHECK IT OUT!!! Condition is Good Used, and I believe the kit is complete. Stop powder spills and make more consistent ammo. This Lyman Shell Resizer is in very clean condition and includes its original box as seen in the photos. An oversight or lack of knowledge on my part is not an attempt to deceive or mislead. PACIFIC RELOADING DIE SET FOR 22 HORNET. Condition is Used, great condition! This upgrade will not affect the operation of the press in anyway, it is light weight and will not add any unnecessary weight to your platform. I'd rather have it be my part give way than have the mounting screw break or tear out of the bottom of your platform. Released : 2019. Limited Edition Only Korea. The adapter and the shell eject together out of the gun like a normal shell. Reduced recoil when using adapter. Precision machined to specifications to fit your shotgun. Made in the United States. RCBS Series A Full Length Die Set 308/307 Winchester 15501. Condition is Used. Shipped with USPS Priority Mail. Dies are still wrapped in oil cloth and look unused. Ammo is expensive and can be hard to find, especially if you need a specific brand or caliber, and for this reason, many hunters have decided to reload their own ammo. Hunters can learn to reload their bullets using handbooks, manuals, and guides designed by sporting goods companies. Many reloading supplies are sold as kits, so you can purchase everything you need at once or buy items individually to meet your needs. What brands make hunting reloading equipment? How do you choose the right brass for reloading? If you are ready to reload your own equipment, you will need to purchase the right brass. There are as many brass types on the market as there are already loaded bullets. You choose brass to reload the same way you choose bullets for your firearm. For instance, if you have a .22-caliber Hornet, you would choose .22-caliber ammo. If you are purchasing reloading brass for your .22, you need to choose .22 brass. It's important to select the right brass to reload or your firearm will not work properly. If you use the wrong bullets in your gun, you could have unexpected results, which could lead to severe injury. How do you choose the right powder for reloading? One of the main ingredients in reloading ammunition is powder. Most companies offer black powder in 1-pound or 8-pound containers. Not all black powder is made exactly the same or for the same purpose. Some products are designed for use with rifles, and others are made to be used with pistols or handguns. It's vital that hunters reload their brass with the appropriate black powder. If the wrong substance or amount is used, the ammo may be dangerous to use. If you are hunting a particular animal or predators such as coyotes, you may want to use a product that specializes in taking down that varmint. What hunting equipment reloading supplies are helpful? In addition to black powder and brass, there are many other supplies that may help you reload ammunition easily and quickly. Useful accessories for making bullets are listed below.